BERLIN, Germany ‑ September 17, 2014 ‑ Cisco and the City of Berlin today announced openBerlin, a Cisco® IoE Innovation Center, to be located in Berlin's Schöneberg district. Cisco Internet of Everything (IoE) Innovation Centers are aimed at catalyzing and showcasing IoE innovation and development, bringing together customers, industry partners, startups, application developers, accelerators, government organizations and universities. Berlin is one of six new Cisco IoE Innovation Center locations, including Rio de Janeiro, Brazil; Toronto, Canada; Songdo, South Korea; Barcelona, Spain; and London, England. The official opening of the center is planned for 2015. Cisco intends to invest close to $30 million in the new site over the coming years. Cornelia Yzer, Senator for Economy, Technology and Research at the State of Berlin, sees the commitment of Cisco as a tribute to Berlin: "Innovation and Berlin go hand in hand. We see the decision of Cisco as a confirmation of our strategic course in economic policy. Not only does Berlin stand for creativity and ingenuity, but also has the power to apply technology in real life and become a reference city for the solutions of tomorrow. 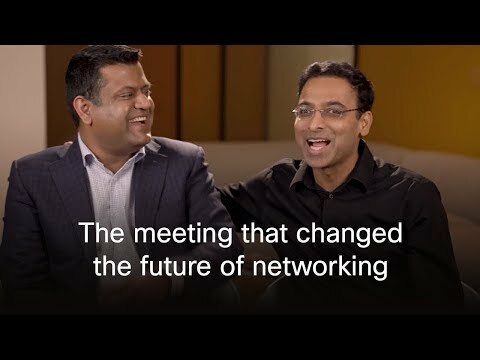 For this we need strong partners like Cisco." "We consider Germany as an innovation stronghold, especially when it comes to manufacturing and logistics, as reflected also in the Industry 4.0 strategy of the federal government. Therefore, we decided to bring our global IoE Innovation Center for manufacturing, transportation and logistics to Berlin, taking advantage of the strengths and future potential of Germany. With openBerlin and its ecosystem of partners, our aim is to accelerate innovation and the adoption of the Internet of Everything in Germany," said Michael Ganser, senior vice president Central Europe at Cisco. According to a recent study, Germany is one of the countries with the greatest potential to benefit from IoE, thanks to its well-trained engineers and its innovation power. Cisco estimates the potential IoE Value at Stake for the German economy to be more than $900 billion (close to 700 billion EUR) over the next 10 years. Part of the center is an R&D lab, dedicated to the development of industry solutions and solutions for specific customer requirements. In the lab area, Cisco experts, together with industry partners and ecosystem startups, will develop proof of concepts, features and functionalities, and do rapid prototyping. The center includes a dedicated space to demonstrate IoE in action, and open areas where customers, startups, open communities, researchers, entrepreneurs and technology enthusiasts are invited to work and brainstorm on new ideas and technologies. The openBerlin team is already working with an ecosystem of more than 40 local and international companies and organizations, including Bosch Connected Devices and Solutions, Bosch Software Innovations, and Intel, especially Intel's recently launched IoT Ignition Labs across Europe. Part of the ecosystem is the Berlin-based Fraunhofer Institute for Open Communication Systems FOKUS; companies such as TTTech, specializing in cross-industry standards; startup accelerator Startupbootcamp Berlin; and element14, an open community for engineers. Berlin offers the right mix of talent, infrastructure, and presence of a strong business, academic, and research community. It is considered to be the leading city in Germany when it comes to innovation, according to the Metropolitan Report, published by McKinsey. The city is an important international hub for startups, with 500 ICT companies founded in just the last 12 months. In addition, Cisco is entering into partnerships with other German cities, such as Hamburg, in order to create a Living Lab for Smart City solutions, including smart port operations. Cisco (NASDAQ: CSCO) is the worldwide leader in IT that helps companies seize the opportunities of tomorrow by proving that amazing things can happen when you connect the previously unconnected. For ongoing news, please go to http://thenetwork.cisco.com.